Congratulations to Julia & Belvedere, Rachel & Lady Lin and Mike & Lexus for their successes while competing at the Winter Equestrian Festival in West Palm Beach. Way to go teams! Belvedere: $1500 S. Fla SportChassis Low Jr Jpr 1.20m - 4th of 64. Lady Lin: $10,000 S. Fla SportChassis Low Jr Jpr Classic 1.25m - 7th of 68. Lexus: $10,000 Ad Am Jpr Classic 1.15m 36-49 - 8th of 23. Belvedere: $10,000 S. Fla SportChassis Low Jr Jpr Classic 1.25m - 11th of 65. Lady Lin: $1500 S. Fla SportChassis Low Jr Jpr 1.20m - 11th of 51. Roman Saluut: $35,000 Budweiser Grand Prix N - 10th of 16. 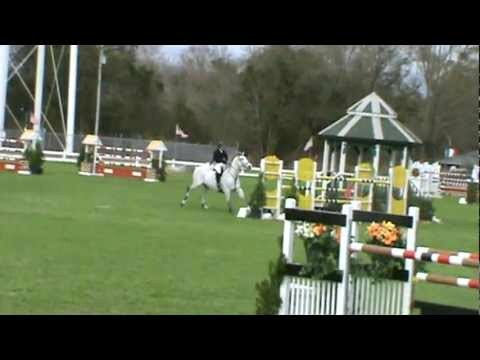 Calissandro: Open Jpr 1.40m - 1st of 7. Friller: YJC 7/8 YO 1.30m - 3rd of 7. Tailwind: YJC 5 TO 1.15m - 2nd of 4. Rocket Cruiser: Open Training Jpr 1.10m - 2nd of 15. Open Training Jpr 1.20m - 1st of 3. Roman Saluut: $25,000 Johnson Horse Transport Grand Prix N - 10th of 24. 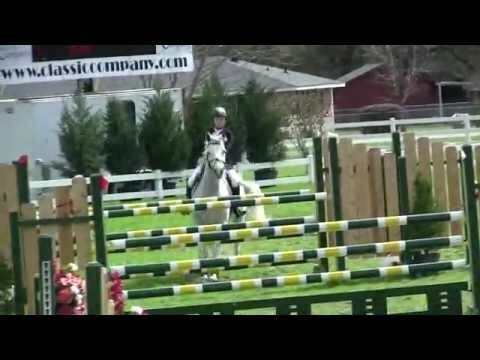 Calissandro: Open Jpr 1.40m - 2nd of 16. $25,000 Johnson Horse Transport Grand Prix N - 8th of 24. Friller: YJC 7/8 YO 1.30m - 3rd of 6. Gracias: YJC 5 YO 1.15m - 2nd of 5. Rocket Cruiser: Open Training Jpr 1.10m - 4th of 19, Open Training Jpr 1.20m - 2nd of 9. Lexus: Ad Am Jpr 1.10m - 6th of 15, Open Training Jpr 1.10m - 1st of 27, NAL/WIHS Ad Jpr Classic 1.10m - 8th of 15. Roman Saluut: 7th of 18 - 35K Nutrena Grand Prix (Ntl Std). Calissandro: 2nd of 16 - Open Jpr 1.40m, 8th of 18 - 35K Nutrena Grand Prix (Ntl Std). Lexus: 2nd of 6 - Ad Am Jpr 1.10m. Belvedere: 2nd of 25 - Jr/AO Jpr 1.20m, 1st of 27 - NAL Jr/AO Jpr Classic 1.25m, Division Champion. Lady Lin: 1st of 25 - Jr/AO Jpr 1.20m. Greetings from Gulf Coast Winter Classic! Roman Saluut & Devin finish 2nd in a field of 17 top riders in the 35K EMO Grand Prix. Calissandro & Devin - 1st of 23 and 1st of 12 in the 1.20m/1.30m Open Jpr, 2nd of 16 in the 1.40m Open Jpr. This was preparation for his toughest challenge yet as an 8 YO, the 35K Nutrena Grand Prix where he placed 8th of 18. Lexus & Mike - have a winning sweep of the Adult Jpr 1.10m division during week 2, taking home division champion. Belvedere & Julia - win the NAL Jr/AO 1.25m Classic and take home division champion during week 3.